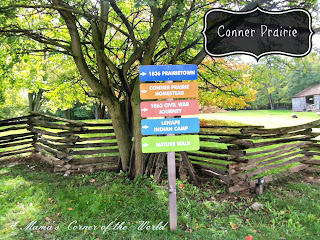 Our family recently visited the Conner Prairie Interactive History Park in Fishers, Indiana as a part of a media tour sponsored by the Hamilton County Visitors and Convention Bureau. I love museums, working farms, and science and technology centers—and love exploring such places with my family. 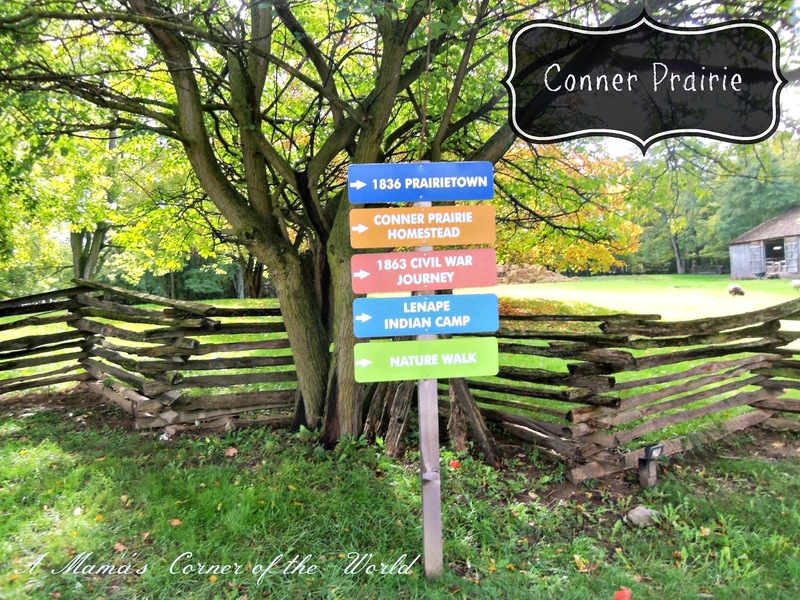 Conner Prairie in Fishers, Indiana, quickly found a place on my all-time favorite educational sites. 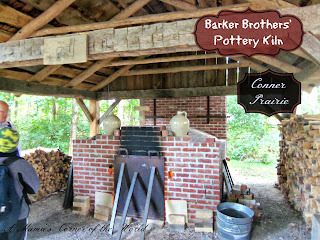 Conner Prairie is one of the best interactive historical parks that I’ve visited. 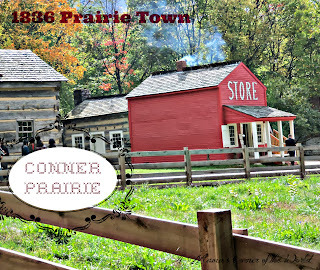 Conner Prairie offers a little bit of everything in the site’s historically accurate, living prairie community. We talked recipes with a costumed, prairie woman cooking pumpkin soup over a hearth, the girls practiced writing on slates with a prairie storekeeper, we peeked in on a costumed schoolmaster teaching lessons in a one-room schoolhouse, we visited with a blacksmith sharing stories about knife making—and those are just a few of the experiences from the day! It was so much fun to see the girls pack up their techno-gizmos and, literally RUN from site to site. The weather didn&apos;t cooperate with our trip--it was too windy for us to participate in the onsite balloon launches. They were actually allowing it to cool down after firing it up to over 2200 degrees... You can actually see pottery made and fired onsite in the gift shop. Conner Prairie offers an amazing list of year around programming on the site. This fall, visitors can enjoy the Apple Store and can also explore a bit of the park after hours during the Halloween themed #ConnerScairie. 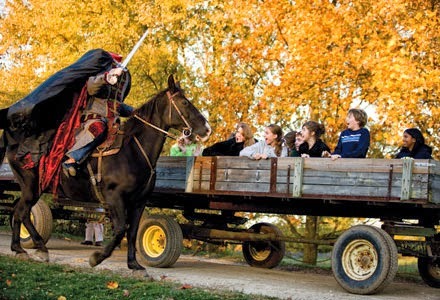 There are activities at Conner Scairie for all ages—from a hayride through the woods to encounter the costumed headless horseman (shown above), inspired by The Legend of Sleepy Hollow ….to marionette shows or magic shows and a midway of food and refreshment options. We opted for a hayride before dark since one of our daughters has a rather vivid imagination—but, I think we would have been fine after dark. The Headless Horseman experience was truly family friendly--and, although the wait was long, the marionette show was well worth the wait. We were a little doubtful of a "puppet show" as our girls are often "too old" for such things--but, the adults seem to enjoy this one as much as the kids! 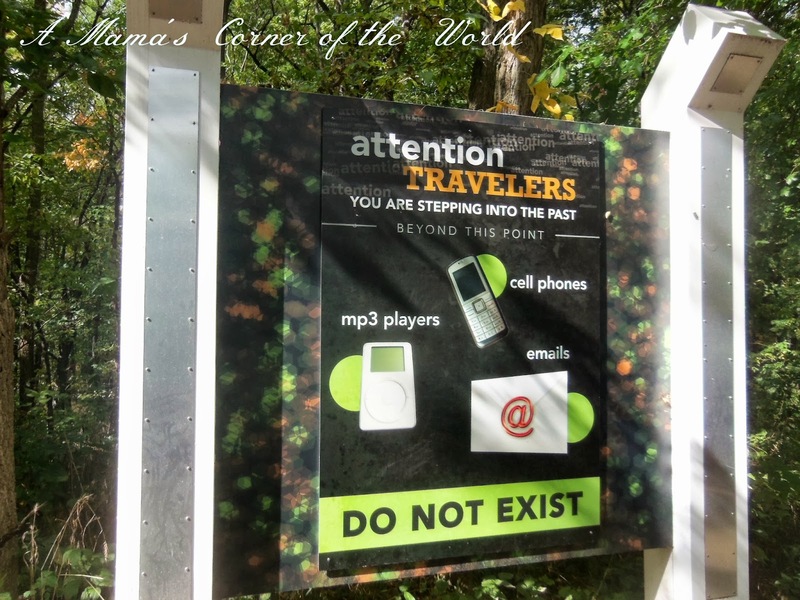 This is, by far, the most well done interactive historical park that we have ever visited. The costumed guides really create an amazing atmosphere for guests. Even the teen volunteers are extremely knowledgeable and ready to share their areas of the park. I would certainly return—we spent only a few hours at the park at that was just not enough time. I could spend days there and would certainly need a membership if we lived closer. 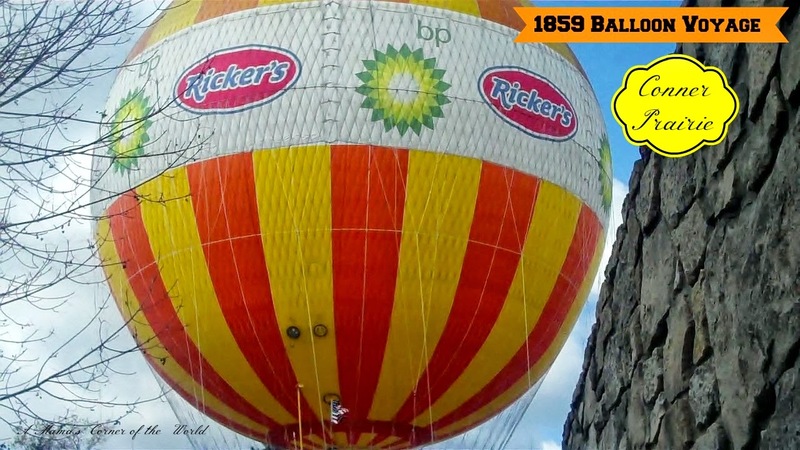 We need to visit again--we weren&apos;t able to do the balloon ride and we didn&apos;t schedule enough time for one whole section of the park! Check the schedule and plan your visit. Outdoor areas remain open through October 31st—then open for special programming during the winter months. I think a fall visit really helped us remember just how harsh Midwest winters must have been for early settlers—and certainly gave our family an appreciation for a warm fire! Check the events calendar for hours and programming--there is always something "extra" going on. Do be sure to check out the age recommendations beforehand as some of the special programming may not be designed for little visitors. Allow enough time. We could have spent an entire day at the park—so be sure to allow enough time for your family to enjoy the exhibits and experiences without being rushed. 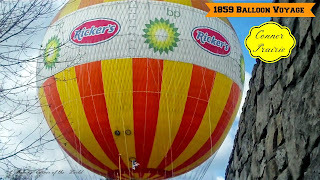 Be sure to check out the balloon ride (you can see the skyline of downtown Indianapolis)—it may not be running due to wind or poor weather—but, it is a must if you can fit it into your visit. 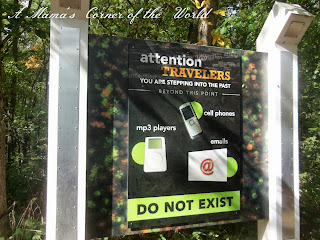 Some of the activities only happen at certain times—so keep an eye out for signs and such as you venture through the park. Ask questions. The costumed characters are well versed in their particular location. The blacksmith knows blacksmiths. The innkeeper has lots to share about running the prairie inn. The trader has war stories. 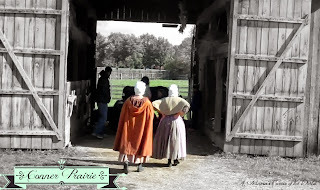 So many visitors walk through the homes and sites like a museum—but, our girls loved talking to the various characters “living and working” on the prairie. Have cash on hand for extras. During our October visit, there were a number of Make & Take Craft opportunities—at a cost of $5 per person (cash or check). We made candles and were able to fire a flintlock rifle—but, needed cash to do that as the volunteers and guides do not take credit cards. Unplug—and reconnect. 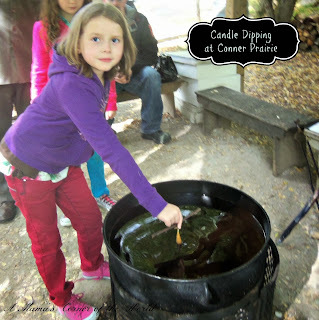 Our girls loved Conner Prairie (and Conner Scairie). The experience itself guides the visit. 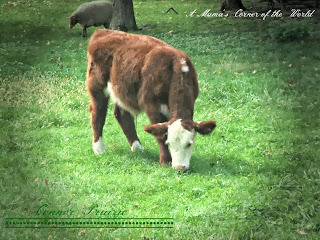 Relax, talk with the costumed interpreters, and take a technology break for a few hours on the prairie. There is so much activity and so much to see and do that you won’t need the distraction of a cell phone. 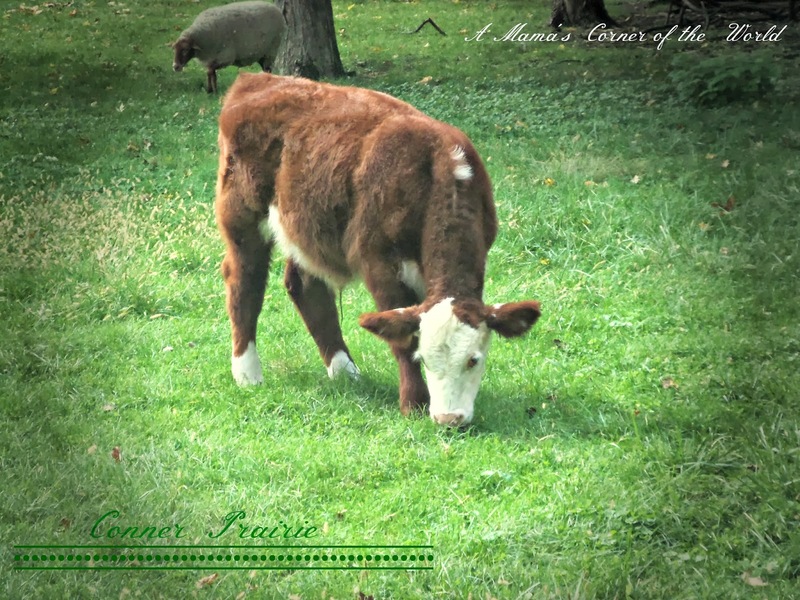 Disclosure: We visited Conner Prairie as guests of the Hamilton County Visitors Bureau--but, all of our experiences and opinions are our own!